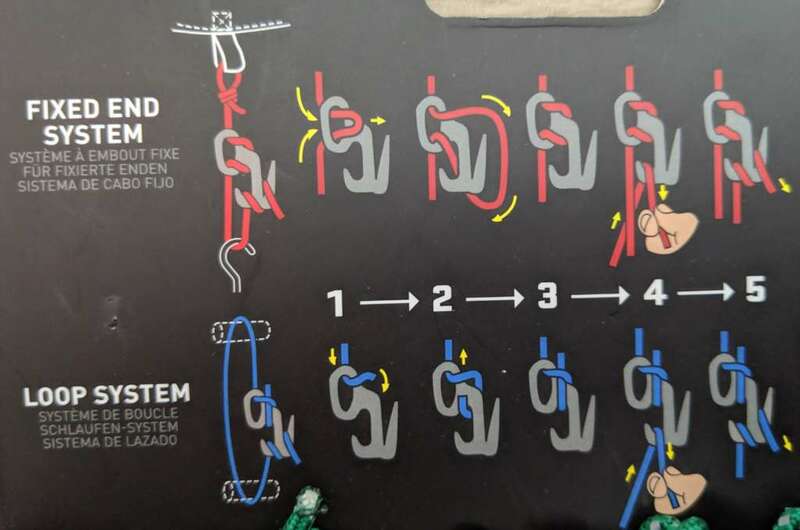 When you need to tighten a rope to hold something in place, e.g. a tent, cargo in a pickup truck, a leaning tree, bed sheets, etc, you might think you’ll need to tie a knot. Not only is it difficult to tie a knot without losing tension in the rope, it’s a hassle and often difficult untying the knot. Ratchet straps are easier to use but are overkill for non-heavy duty situations. A simpler solution is to use a figure 9. Here, I used a figure 9 to hold a leaning tree in place. You can purchase Figure 9s at REI. One brand is Nite-ize but there’s also generic ones on Amazon for less. This are two ways to tighten a rope using a Figure 9.